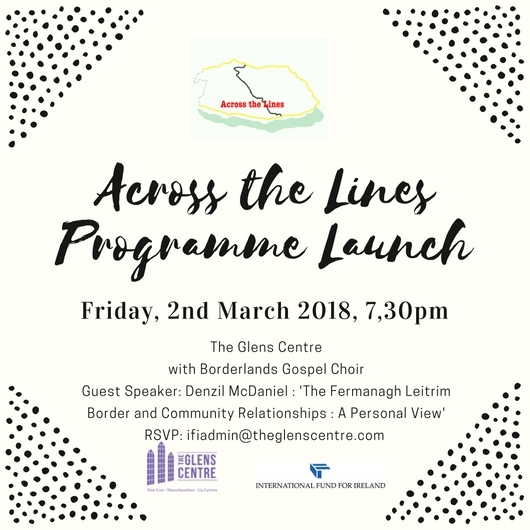 The Glens Centre is holding the launch of Across the Lines Programme on Fri 2 March 7.30pm. Please come along and hear more about our projects, be uplifted by the homegrown community choir Borderlands Southern Gospel Choir and have an opportunity to listen to our first invited guest speaker: Denzel McDaniel, Columnist and former Editor of the Impartial Reporter outline a personal perspective on the border. Next postNew Glens Centre Director Announced!